Here are some awards that we are winning for being awesome. McDonald's Game Time Gold Campaign won a bronze Clio for Best Integrated Campaign. Just won ourselves a Silver Effie Award for Single Impact Engagement - Products. Warc named us as one of the world’s best digital/specialist agencies of 2016. We rank at #2 out of 100! 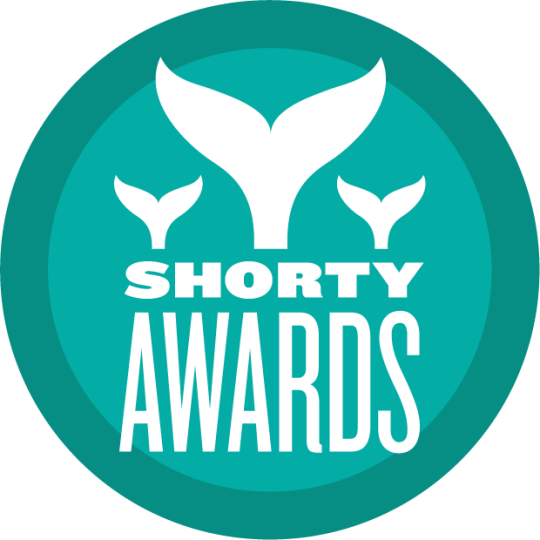 We were recently recognized in FOUR different categories at The 2016 Shorty Awards (honoring the best of social media). Our work on McDonald's Lovin' the Superbowl campaign helped our client win 2 Lions at this year's Cannes Festival. Woohoo! We just scored a silver trophy at the Jay Chiat Awards for our contribution to McDonald's Choose Lovin' Campaign so excuse us while we choose to celebrate. At this year's Pro Awards (hosted by Chief Marketer), we were honored with two trophies, one for Best International Campaign and another for Best In-Store Retail Campaign. We were also a finalist for Best Integrated Marketing Campaign. The BAA (Brand Activation Association) has honored us with three trophies at the 2015 REGGIE Awards for Best International Campaign, Best Sponsorship Campaign and Best Social Media Campaign. We're pretty pumped that we worked on McDonald's Lovin' the Super Bowl campaign, which won a gold trophy in the Social Media category at the 2015 Clio Sports Awards. The Chicago Association of Direct Marketing recently honored us with 3 awards at the 2015 Tempo Awards. We walked away from the ceremony with a gold trophy for Best Interactive Campaign and two silver trophies for Best Integrated Campaign and Best Campaign Microsite! Made the 2015 list of AdAge’s Top 50 promotions agencies. We’ve been named one as of the Top 100 Promotions Agencies in the U.S. By Chief Marketer in the PROMO Top Shops list. You have resized your browser. Please click here to reset the page. delivering inventive play-filled solutions that make the difference. 62 years. What Difference Can We Make For You? As one of the world’s top promotions agencies (#1 in promotional Contests, Sweeps and Games according to 2012 PROMO Magazine), we know a thing or two about activating a brand and lifting sales. And, for 10 years, we have managed the strategy, design, digital execution, packaging, gamepiece printing (over 1 billion), compliance, partnership development, licensing, signage and events for one of the largest promotional games across 15 countries. Our digital and mobile teams know how to supercharge brands and put them in people’s hands. Whether it’s mobile payments, NFC-activated displays, loyalty platforms, or discounts and offers, if it’s digital—we’re tapped in. For 27 years, we have been making amazing things, and this year alone, we will make over one billion products —from toys to furniture— for retailers and restaurants. With over 280 brand and licensing partners, there’s a good chance you’ve held our work in your hands. And that’s with just one promotion. How? As the CRM agency of record for Infiniti and Nissan North America, we build relationships between customer and retailer through highly personalized communications driven by data. We’re a think different, act different kind of agency. a smile, and open wallets wide. brand – and great things happen. homes every day. At events, we make dancers of onlookers and tweeters of talkers. What Difference Can We Make For You? We won! We won! We won! McDonald’s Game Time Gold campaign, which we had the pleasure of working on, won a bronze Clio Sports Award for Best Integrated campaign. It looks like people our lovin’ our work! McDonald’s Lovin’ The Super Bowl Campaign was honored in 4 categories at The Shorty Awards (winning gold in two of them).